Home » Columns » Just How Fragile Are We Really? Are We Prepared? Events in Danbury over the past few weeks have shown how fragile we are as victims of situations beyond our control. First, the waterline break at Tamarack Avenue stopped Danbury in its tracks, catching homeowners by surprise and unprepared. Many had no extra water or supplies on hand. Second, the more recent storm last week paralyzed the community. Although city officials, public works, the police and fire departments diligently worked to open roads and restore power, many families again were caught by surprise – not only through the inability to move around the city to get to work or pick-up children from school, but more so by not being able to go anywhere. We hope that everyone is safe; homes and property can be replaced, but human life cannot be. Our prayers go out to the two families who lost family members. How do we prepare our children and ourselves for situations like this? The Red Cross recommends that you have a gallon of water per day for each person in your home for three days. In your car, you should have a flashlight, blankets and water. Have a family plan prepared and review it yearly, indicating where family members will go and how to contact each other should you become separated. One person should be designated “the central person” for all communication and coordination of family members’ locations. Other items such as non-perishable foods, e.g., crackers, packets of tuna fish, bottled juice and fruit cups, are good back-ups in case you cannot cook. Once a year, bring out the supply, eat it during a practice drill and then replenish. 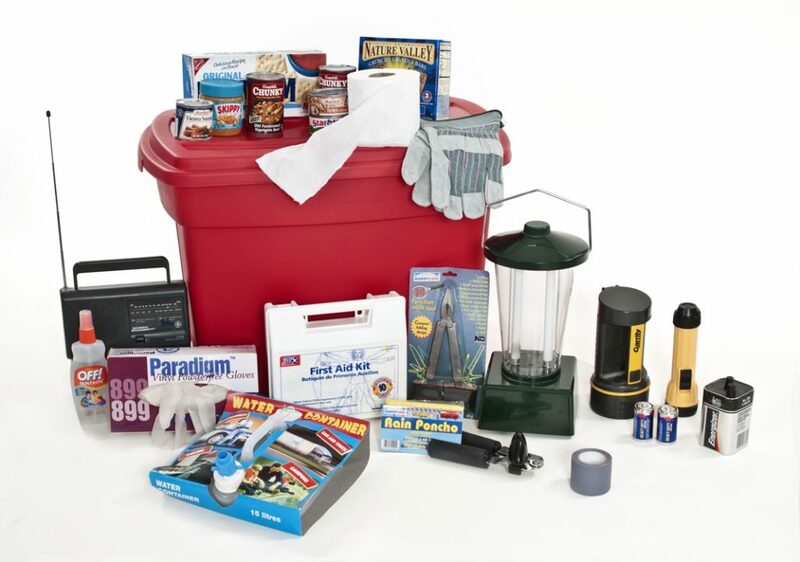 For more information on safety, visit http://www.redcross.org/get-help/how-to-prepare-for-emergencies. Children are often scared by the wind, heavy rain and hail and they can feel the anxiety that adults around them may have. Preparing your children ahead of time will help them to feel as if they have some control over a situation. Preparing safety kits can involve your children, offering a perfect opportunity to talk about the “what ifs.” Share with your children information they can understand, and answer their questions without too many details, but be realistic. Ready.gov provides more information on how to prepare for other emergencies and disasters such as hurricanes, floods, cyber security and social media: https://www.ready.gov/ and https://www.ready.gov/languages. The second site translates the information into numerous languages. The City of Danbury Health and Human Services website is full of information, from testing your home for radon, lead paint, community health programs and prevention, ticks and other health information: https://www.danbury-ct.gov/government/departments/health-and-human-services. Make sure you sign-up for their Facebook page, as they post articles and alerts during crises: https://www.facebook.com/healthydanbury/. As we head into the hurricane and thunderstorm season, please take a few minutes to ensure your family is well prepared. You will be glad you did.